Thanks to the rise of the gig economy (and the millennial penchant for side-hustles), the city has been bubbling with co-working spaces, members-only hangs, and office-by-the-hour services seeking to fit the needs of on-the-go professionals who may not have the perfect place of their own when it comes to finishing projects, conducting conference calls, or, let alone, relaxing. And while all of those luxe accommodations are nice and all (if you ever get off the wait list to join), every one of them comes with exorbitant fees. Then again, your career can only go so far if you're constantly working out of a Starbucks. But now, there's 3DEN (pronounced Eden, obv), an urban escape that's practically as heavenly as its subtle namesake - and almost as difficult to define. 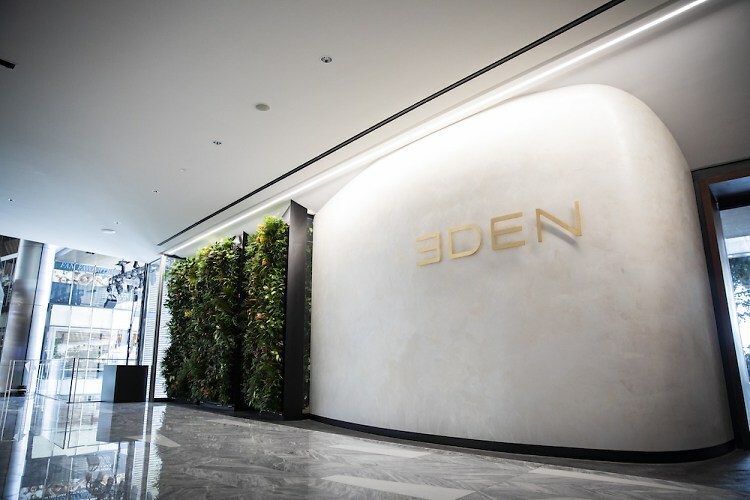 A co-working space, a members' club, a retail concept, a place to relax, refresh, and recharge - 3DEN can be practically anything you want it to be, all contained within a modern, plant-filled paradise in the middle of Hudson Yards. And despite all of its luxury amenities (including showers, sound-proof phone booths, a mediation area, and Casper nap pods to, yes, nap in!) it remains surprisingly affordable. Like, maybe even shockingly so. Anyone can pop in whenever, and it's just $6 per 30 minutes. That's about enough time to shower and charge your phone before a date, or grab a snack and a cup of coffee while you finish up a proposal, or, of course, take a much-needed power nap. Spring for the whole hour and voila - you have a chic space to impress a potential client or catch up with a colleague. The best part? No contracts. So you can use the space how you need it, when you need it, and pay as you go using - what else? - an app (which you can also use to book amenities ahead of time and even scope out how busy it is). If you're currently having a "why didn't I think of that?!" 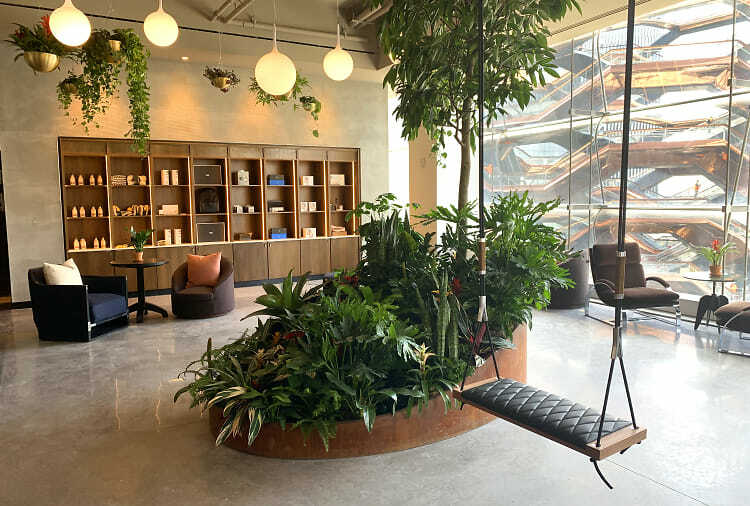 moment, you can at least thank 3DEN's founder and CEO Ben Silver, who managed to bring all the best parts of in-between spaces (the greenery of a courtyard, the lounges of a hotel lobby, the showers of a health club) together under one very well-designed roof. So whether you're looking for a respite from work, or a place to actually get it done, click through for an inside look at your new go-to. And be sure to keep an eye out - 3DEN is set to open a few more locations throughout NYC this year.